Description: The Homag SE 9500 is the most versatile of the SE 9000 series. 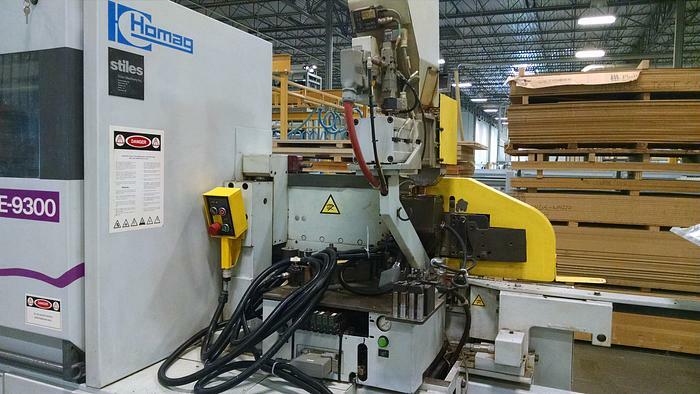 With the capacity to apply up to 3/4″ thick wood strips and its NC 21 Windows format line control, it sets the standard for all the machines in the SE 9000 series. 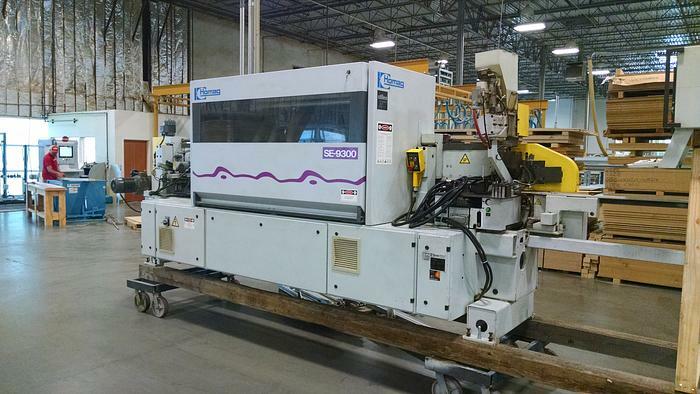 Feed speed – variable 59 – 80 ft/min., edgebanding thickness min. 1/64″, max. 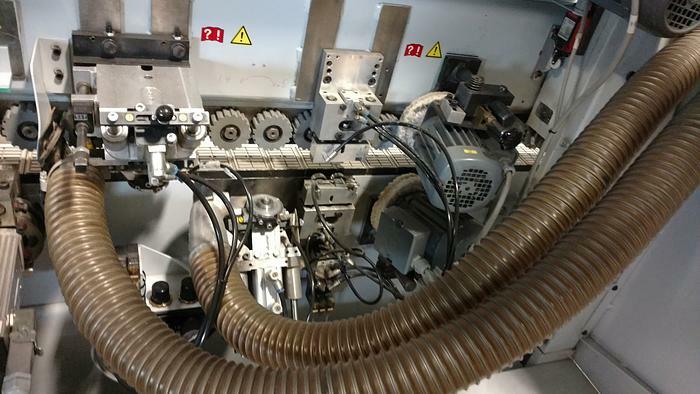 3/4″, Working width piece min. thickness 2-15/32″ and 3-15/16″, work piece thickness 15/32″ min. and 3/4″ max., Snipping Unit Motors (2) – 0.25 HP, Flush Trim Motors (2) 0.75 HP, Bevel Trim Motors (2) 0.54 HP, Oscillating Buffing Unit 0.4 HP, 3 PH. 2001. Excellent working condition! 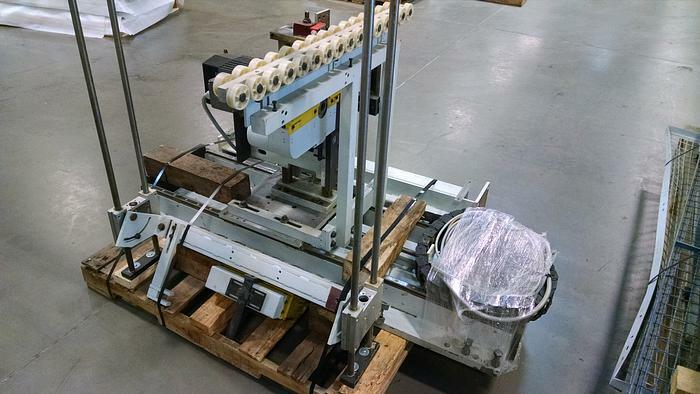 An optional Auto Groving Unit is also available for this machine for an additional $8,500.